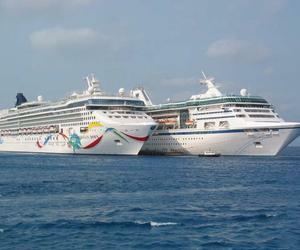 New arrivals of US cruise companies Pearl Seas, Royal Caribbean and Norwegian Cruises took place during the first quarter of 2017 to Havana, which is in line with the projections of the development of such attractive activity in Cuba. Today the US Norweigan Cruise announced it will add 33 round trip sailings to Cuba from Miami in 2018. The newly announced cruises begin on March 26, 2018 and are in addition to the 30 cruises that Norwegian is running to Cuba in 2017. Havana and other Cuban ports appear as a destination desired by shipping companies which routes cover the Caribbean, a region that is consolidated as the main cruise market in the world. This upward trend demands the country's efforts to promote the necessary infrastructures for the efficient operation of that source of income for the national economy. With the increase of the aforementioned pillar of the leisure industry, the prestige of the port's officials has also been consolidated, and they have received praise from the executives of the visiting companies, especially in the complicated capital city. The inclusion of Havana in the Caribbean tours is a result of the agreements to reestablish relations between the United States and Cuba, agreed by both governments in December 2014. However, US travelers must comply with any of the 12 categories allowed by Washington, as its economic blockade of the Caribbean island prevents its citizens from traveling as tourists to the seductive Cuba destination. As confirmed by the Ministry of Tourism, this year is expected to receive 4 million 200 thousand visitors in all travel modalities, 164,423 more than in 2016.